Welcome to the 15U Division page! Players born in 2004 & 2005 are eligible to play 15U baseball in 2019. August 22-25 – Ray Carter Cup – 15U National Championships – Oshawa, ON. *** 2019 Team Schedules and Contact lists will appear here in later April. The 15U Coaches Meeting will take place on Thursday, April 25th 7pm in the classroom at Gordie Howe Indoor Training Centre. 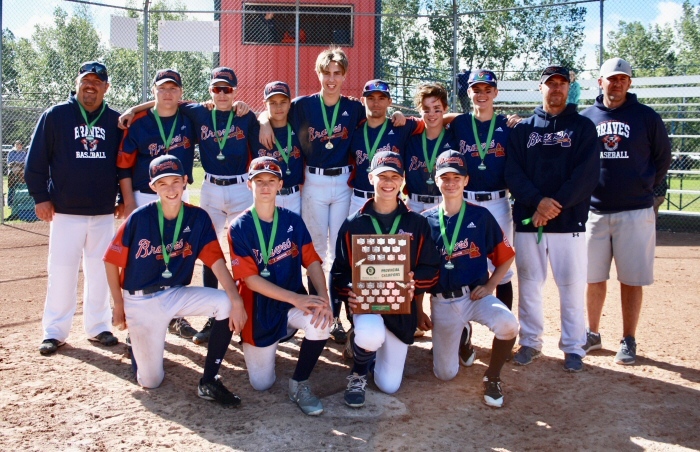 Congratulations to the Saskatoon Braves who are the 2018 Bantam AA Tier 1 Provincial Champions! 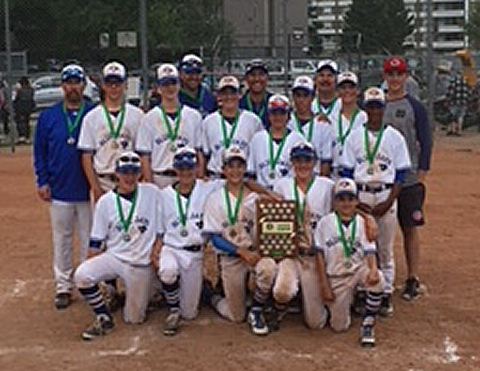 Congratulations to the Saskatoon Blue Jay Bandits who are the 2018 Bantam AA Tier 3 Provincial Champions!